The big-screen DC Comics universe is set to get a whole lot bigger when David Ayer‘s Suicide Squad arrives this August, bringing with it some lesser known comic book characters like Jay Hernandez’s El Diablo. Although the film will feature the more recent Chato Santana iteration of the character, El Diablo’s comic book lore stretches back nearly 50 years. Despite El Diablo’s long comic book history, Suicide Squad will offer the character’s first ever live-action appearance and Hernandez couldn’t be more thrilled. The star, who has recently been appearing on Syfy‘s The Expanse, commends DC Comics fans for their response to Suicide Squad so far. If, where and when El Diablo might appear in the DCU after Suicide Squad remains to be seen, but Hernandez is excited about helping to build a massive cinematic universe. Hernandez credits his director with connecting the DCU dots and says that David Ayer demonstrated a remarkable ability to get at the heart of each and every Suicide Squad team member. Suicide Squad also stars Margot Robbie as Harley Quinn, Jared Leto as the Joker, Will Smith as Deadshot, Joel Kinnaman as Rick Flagg, Adewale Akinnuoye-Agbaje as Killer Croc, Jai Courtney as Captain Boomerang, Cara Delevingne as Enchantress, Karen Fukuhara as Katana, Adam Beach as Slipknot and Viola Davis as Amanda Waller. There’s also mystery roles for Ike Barinholtz, Scott Eastwood, Raymond Olubowale, Alex Meraz, Jim Parrack and Common. 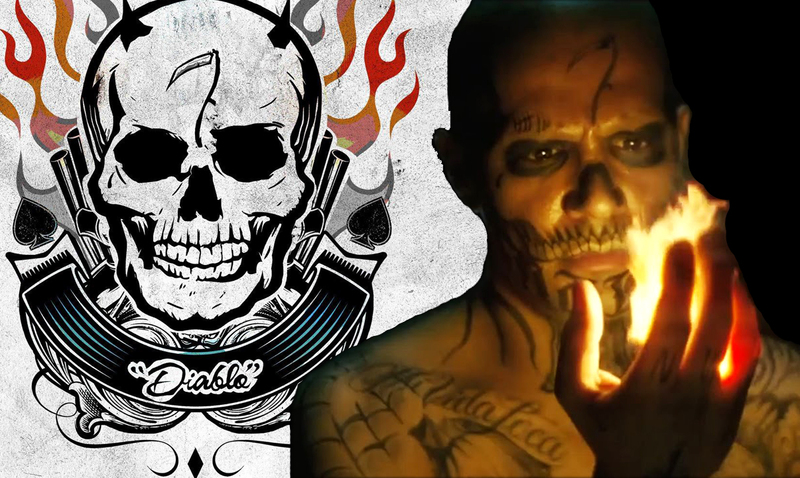 Are you looking forward to meeting Jay Hernandez’s El Diablo? Let us know in the comments below!